As the capital city of Canada, Ottawa is one of the most exciting destinations in the country to visit. While Montreal and Toronto may be the first cities that spring to mind, don’t rule out Ottawa just yet. Here are some of the most exciting things you can take part in when in the capital. As a UNESCO World Heritage Site, the Rideau Canal is one of the most popular places to visit in Ottawa. Connecting the capital city with Kingston (the previous capital of Canada), the canal spans over 202km across Ontario. When passing through the canal, you will find 45 operational locks which come into function between May and October. In the present day, walkers, boating enthusiasts and cyclists use the canal. If you want to take in some glorious scenery, be sure to pay a visit to Rideau Canal. Those who are into their politics must make a visit to Parliament Hill. There, you will find all the city’s government buildings, making it the political centerpiece of Canada. As a focal point of Ottawa, there are celebrations that are held around the landmark on Canada Day (July 1st), with a wide array of light and sound shows taking place during the summer and festive months. You may also take advantage of free guided tours that are held throughout the year, enabling you to get more of an insight into the political side of Canada. Once you arrive at Parliament Hill, you can’t miss the Peace Tower. Situated in the middle of the parliament buildings, the Peace Tower is regarded as its own national landmark. The monument must be seen to be believed thanks to its clock face and ornate stone carvings which make it one of the most recognizable symbols of the country. 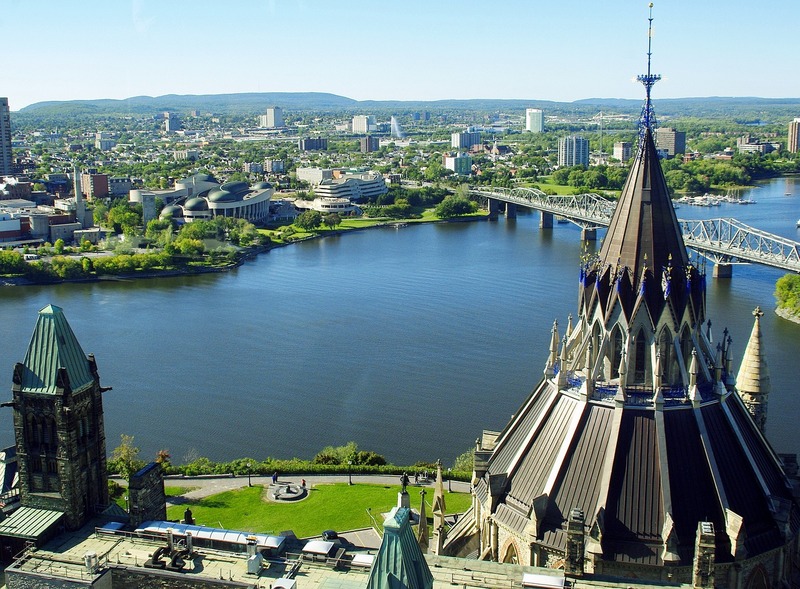 Not only can you get an impressive view from the ground, you can head on up to the tower’s observation deck which provides you with fantastic 360-degree views of Ottawa. Many tourists can’t leave Ottawa without a trip to the National Gallery of Canada. Known for its quirky architecture and its glass-paneled building, the gallery is one of the most intriguing features of Ottawa’s landscape. There is also a huge 30-foot spider sculpture which some may find eye-catching (or unsettling!). 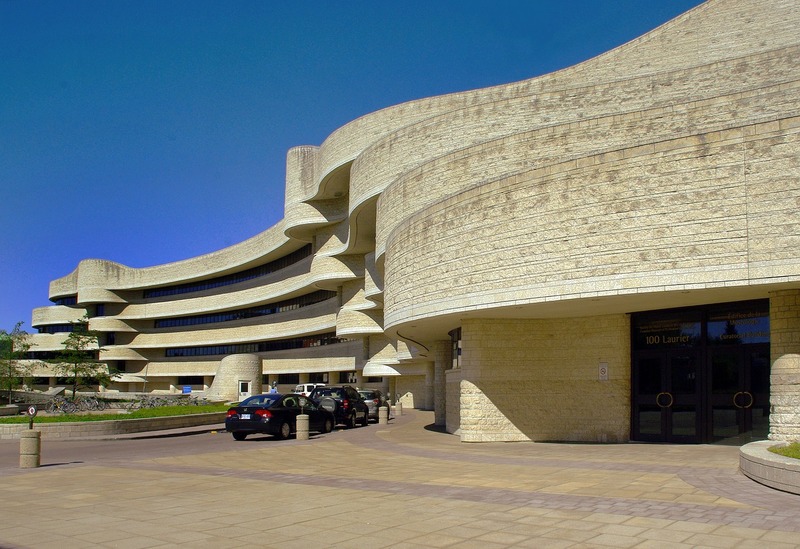 Once you step through the doors of the gallery, you can expect to find over 40,000 pieces of art such as the world’s largest display of work by artists from Canada, as well as pieces from across the world. There are special exhibitions that are put on throughout the year which give praise to lesser-known artists too. Those into their history must head to the National War Memorial when in Ottawa. Dating back to 1939, the memorial consists of a breath-taking 70ft arch which commemorates all the Canadian nationals who were killed when in military action. Symbolizing freedom and peace, the memorial includes bronze allegories that showcase the war era. Those who visit the memorial museum say it’s one of the most humbling places to visit in the country, especially when you consider the violence that took place in that era. Opening its doors in 2005, and regarded as one of the newest fleets of museums in Ottawa, the Canadian War Museum has more than proved its point as one of the most visited and respected attractions that the city has to offer. With all of the museum’s exhibition space spanning the full A-Z of Canada’s military history, you can immerse yourself completely in the history of Canada. There are various audio-visual aids that are located throughout the museum, which helps to bring Canadian history to life. Those who want to learn more about the military conflict must take a trip to this museum. A downtown area of Ottawa that every tourist must visit is the ByWard Market neighborhood. With a whole host of lively restaurants and intriguing boutiques, it’s easy to see why the neighborhood is so popular with tourists. The great thing about the market building is that it’s open all year round, meaning that whenever you visit the city, you can drop by and see what the fuss is all about. What’s more, in the summer season, the oldest farmer’s market in Canada takes place where you can find all sorts of artisan products and fresh produce. When it hits nighttime, the market transforms completely, turning into a hub full of popular nightclubs and bars. While many tourists steer clear of Ottawa in the winter months (because of freezing temperatures), those who are more courageous should check out the city’s Winterlude Festival. Taking place between January and mid February for three weekends, the winter festival is the largest in North America, attracting close to 600,000 visitors from across the globe each year. There are plenty of fantastic attractions and displays to check out when at the festival, including an international ice-carving competition and ice skating. Those looking for some winter fun should definitely head to the festival for a great time. Finished in 1846, the Notre Dame Basilica is known as the largest and oldest church in the city. Currently functioning as a place of worship for dual-languages, this means that services are conducted in both English and French. Once you walk through the doors of the church, you will see a brightly painted and vibrant interior, including gorgeous stained glass and Gothic fixtures. Open daily for guided and self-led tours, the cathedral is one attraction not to miss out on. Also, there are several concerts that are put on throughout the year, so it’s best to check online where you can find full listings. Situated 4km north of Ottawa’s downtown scene, Gatineau Park is a fantastic place to visit if you want to escape the hustle and bustle of inner-city life. In the summer months, tourists and locals flock to the park to enjoy a range of activities such as hiking and biking. You can also go for a swim in one of several lakes in the park, one of the most popular being Pink Lake. There is plenty of space to sit back, relax and have a picnic too, enabling you to take in some stunning scenery and immersing yourself in nature. 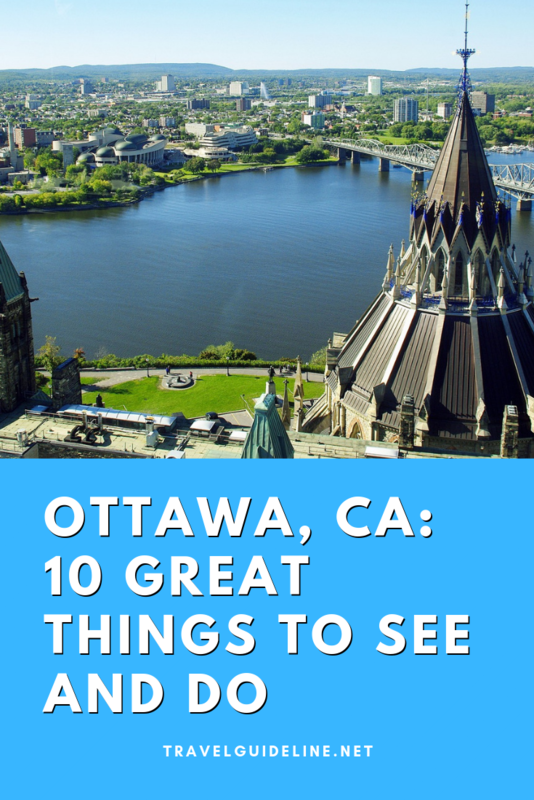 Now you know there are plenty of great reasons to visit Ottawa, all that’s left to do is plan your trip! Getting to the capital city could not be easier thanks to companies like Porter Airlines, who provide daily flights to Ottawa. Make sure to head on over to flyporter.com where you can book your travel to Ottawa with added perks of extra leg room, free snacks and an award winning service. Whether a stroll through Gatineau Park is something you’re interested in or a trip to Winterlude Festival, there are so many fun attractions that you can join in on when in Ottawa. Some of the attractions listed may require you to purchase tickets, so it’s best to check beforehand. Lastly, stay safe, be aware of your surroundings and all in all, have fun in the capital of Canada!